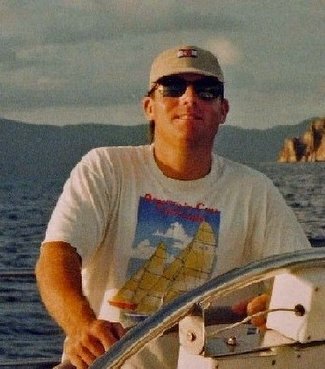 In days gone by when I earned a living on the water instead of at the helm of a Thinkpad, this would be the time of year we'd be in Florida for six to eight weeks getting the boat in shape for the winter run to the islands. When I was crewing on the Maxi the owner rented dock space from a divorcee on Palm Beach proper - the narrow north end of the island off North Lake Way...ICW side though at night with a surf running you could hear the crash of waves on the beach, the Atlantic Ocean a few blocks west. During the day the captain, chef and I would work one or more of the endless boat maintenance projects, have a quiet dinner onboard and then go drinking at Au Bar (made famous by Willie Kennedy Smith) or E.R. Bradley's Saloon. In early December the Sailfish Club held a holiday regatta. We'd compete in that, a final visit to the boatyard and the rigger for a tune up and then post holiday the Storm Trysail Club feeder race to Key West (for Race Week) and off down island till spring. It's getting cold in the Northeast now and we're building fires in the wood stove...though I enjoy a fire it seems a mean substitute for a warm ocean night with 15 on the beam, red and green nav lights sparkling as the bow plunges, so many stars it makes your head spin. Gotta plan a getaway soon. You guys are making me feel a touch guilty here on Tortola; last night it got down a touch below 80... Had to wipe dew off my windshield, of all the indignities!